Hồ Ngọc Hà became famous as a model almost two decades ago when she won one of Vietnam’s modeling contests. Her paternal grandfather was a Frenchman who resettled in Vietnam, and her European descent is pretty evident in her physical attributes. Let’s take a quick look at the different aspects of Ngọc Hà’s career. Her reputation as a model helped her land a career on television, but she wanted to focus more on a singing career. She had some doubters, those who would say that she was a singer-wannabe, but she eventually proved them wrong. She released her first album in 2004 and her powerful performances established her career as a pop singer. Since then, she has released 7 albums in total. Her last single was released in 2016, but she still has the occasional live performances. Her singing career wasn’t always smooth sailing – she hit a bit of a rough spot in 2007 after releasing her 4th studio album. She had formed a personal relationship with Duc Tri, who was the executive producer of her previous albums. However, their relationship ended and he did not help with the latest album’s promotion, ending in it not doing well. She went on a two-year hiatus because of this. Her career comeback came in 2010 when she partnered with Sunsilk for the promotional campaign of her newest album. In addition to her success as a pop singer, Ngọc Hà also made it onto the screen. She has a few movie appearances under her belt, but she was better known for her roles in reality TV. She started out as a judge on The Voice Vietnam in 2012. She was a judge on Got To Dance and X-Factor, and a mentor on The Face Vietnam in 2016. She has been called Vietnam’s “Queen of Endorsements” because of her commercial and print advertisements for many different companies. Some of these include Sunsilk, Toshiba, and Sony Ericsson. Hồ Ngọc Hà at a pictorial for the Face Vietnam’s mentors. Her personal life has definitely not been without scandal. There was a time when Ngọc Hà was briefly rumored to be the third party in a relationship between a singer and his wife. 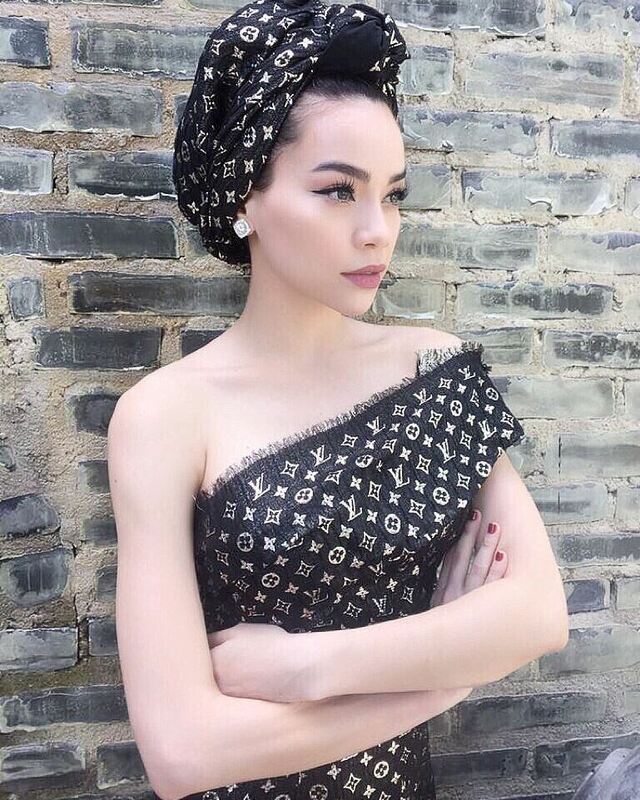 During her brief hiatus from the music industry, she entered a relationship with Nguyen Quoc Cuong, a pro-racer and heir to one of Vietnam’s wealthiest families. According to this article, their relationship was the talk of the tabloids that painted her as a gold digger. However, their relationship endured and they were soon expecting a child together. What should have been happy news is again surrounded by controversy as it’s revealed that she had been previously married to a wealthy businessman. She was only 17 at the time, and they divorced the following year. After giving birth, the couple decided to stay unmarried – a decision that the media again decided to judge and dissect. They finally decided to tie the knot in 2013, only to separate through a divorce in 2015. Hồ Ngọc Hà and her son. Culture Magazine acknowledges that part of the “unstoppable appeal” that Ngọc Hà has is her “great sense of high-end fashion”. 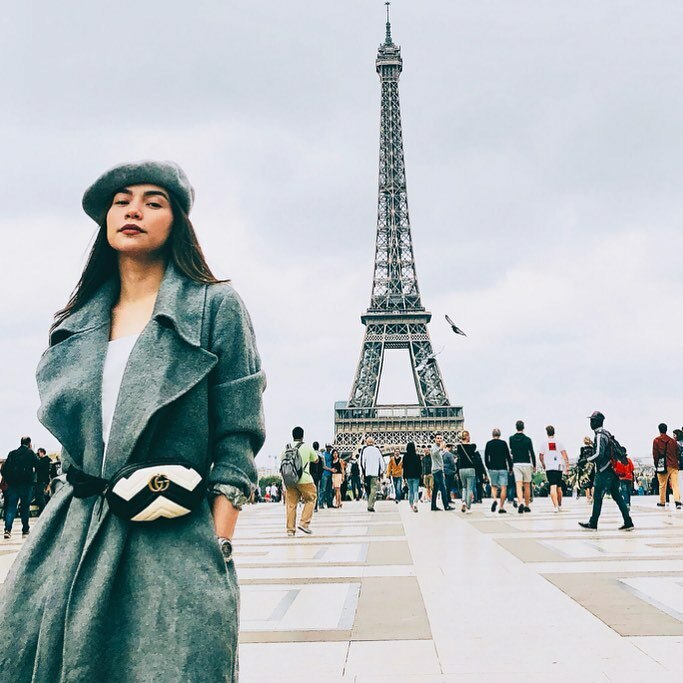 Her fashion sense ranges from trendy to sophisticated and always garners attention on social media when she makes public appearances. She has made it onto a few “Best Dressed” lists, including during the 2015 Elle Style awards in Vietnam. Not many people can pull off puffed sleeves in a casual setting. 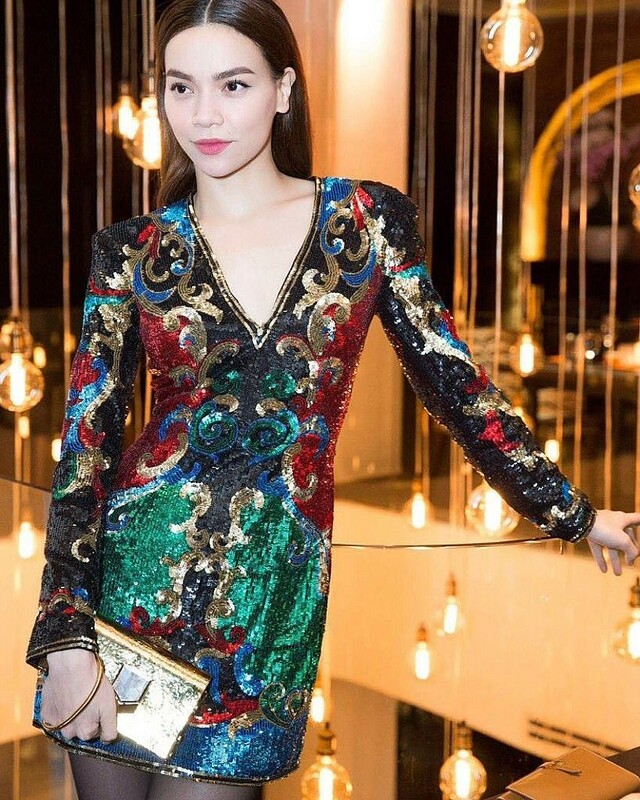 Ngọc Hà in a Gucci jumpsuit. She is rocking that turban! Hồ Ngọc Hà wearing a cape coat.